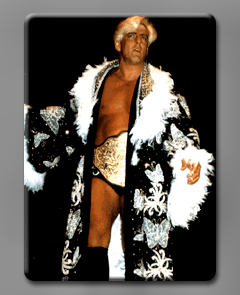 I THINK RIC FLAIR AND SENSATIONAL SHERRI MARTEL ARE WEARING THE SAME EXACT ROBE IN THESE PICS. WHAT DO YOU ALL THINK? 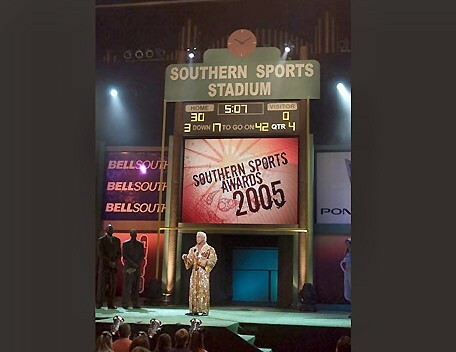 IN 2005 AT THE SOUTHERN SPORTS AWARDS "NATURE BOY" RIC FLAIR WON "THE STYLE AWARD" ONE OF THE NOMINEES IN THE CATAGORY WAS DALE EARNHARDT JR. 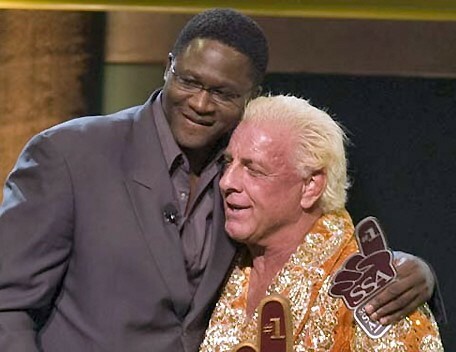 PROVING THAT FLAIR IS BIGGER IN NORTH CAROLINA THEN EARNHARDT. HERE ARE SEVERAL OF THE PICTURES FROM THE AWARDS SHOW. 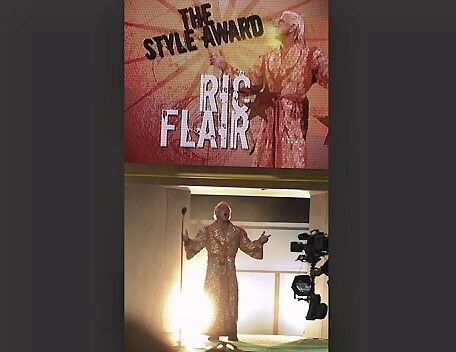 RIC FLAIR MAKING HIS AWARD WINNING SPEECH. 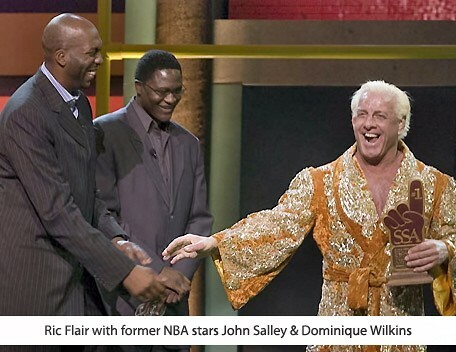 THE LEGENDARY BASKETBALL HALL OF FAMER DOMINIQUE WILKINS CONGRATULATING RIC FLAIR ON HIM WINNING "THE STYLE AWARD"
JOHN SALLEY AND DOMINIQUE WILKINS CONGRATULATING RIC FLAIR. 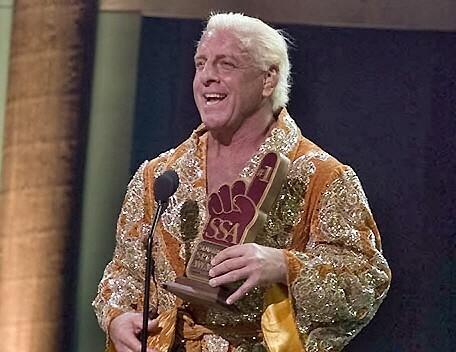 RIC FLAIR ACCEPTING HIS AWARD. 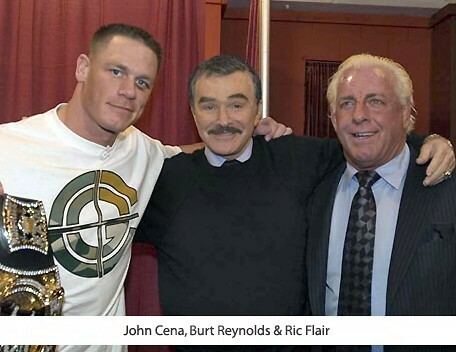 RIC FLAIR WITH THE LEGENDARY ACTOR BURT REYNOLDS AND WWE SUPERSTAR JOHN CENA. 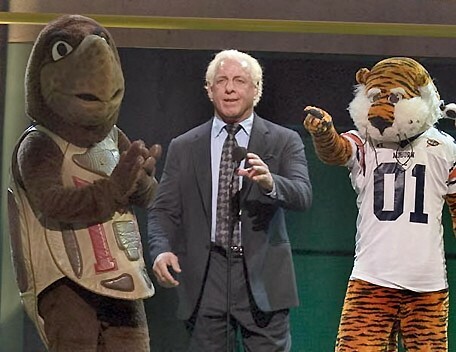 RIC FLAIR WITH A COUPLE MASCOTS. RIC FLAIR WITH MISS USA 2005 CHELSEA COOLEY, CHELSEA WAS MISS NORTH CAROLINA IN 2000 AND IS THE FIRST WOMAN FROM NORTH CAROLINA TO BE MISS NORTH CAROLINA AND MISS USA.